Welp, it’s almost February! That *usually* means chillier temps coming our way. We’ve been lucky enough to have a bit of a warm spell (for New England weather), but we know you’re coming for us, polar vortex. We’re going to be reaching for our favorite chunky sweaters before we know it! Remember last week when we mentioned a mild winter? Well we were just kidding. And to our fellow New Englanders, we apologize for jinxing you. We were hit pretty hard by Juno yesterday in both Boston and Hartford, but we ain’t complainin’ (snow dayyy!). SO all of those retailers with their Spring 2015 lines coming out… slow your roll, okay? Because it’s still chilly and slushy around these parts, and we need some gear to get us through it all. 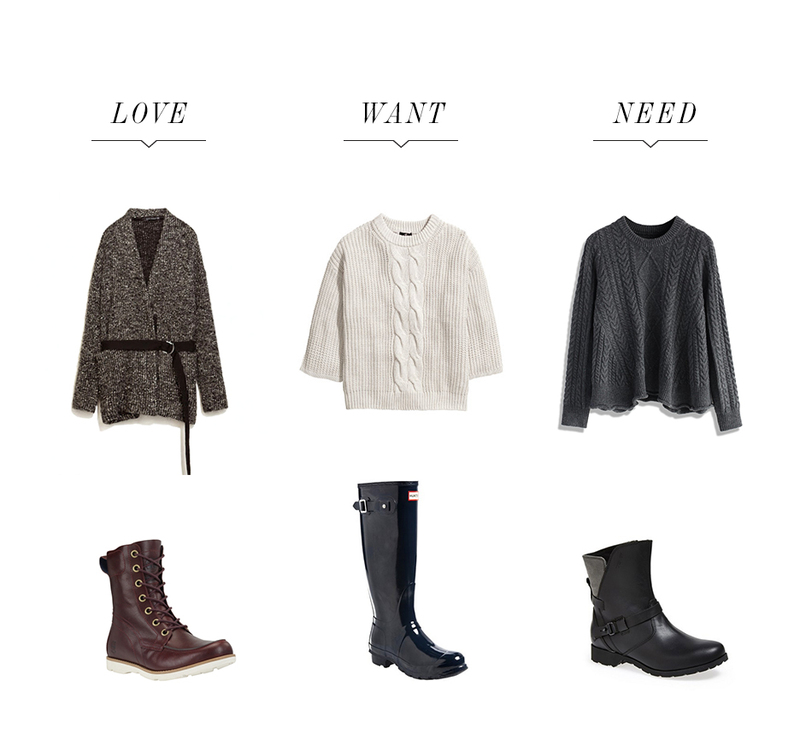 Hail to the chunky sweater and waterproof boot!